Prominent Ukrainian business figure Oleksandr Yaroslavsky visited UEFA headquarters in Switzerland on 12 February to discuss the prospects for further cooperation with his hometown of Kharkiv. Yaroslavsky is the owner and president of DCH Group and the former president of Metalist Kharkiv Football Club. He first developed ties with UEFA as the key investor in Kharkiv’s preparations to serve as a host city during UEFA’s Euro 2012 championship in Ukraine and Poland. During his visit, the Ukrainian met with the leading figures of European football’s governing body including UEFA president Aleksander Ceferin, UEFA general secretary Theodore Theodoridis, and UEFA events SA CEO Martin Kallen. Both Theodoridis and Kallen were involved in the preparations ahead of Euro 2012 and cooperated closely with Yaroslavsky as he oversaw the modernization of Kharkiv infrastructure and facilities in order to meet UEFA host city requirements. High on the agenda during discussions on this occasion was the experience of hosting major international UEFA events in Ukraine, including both Euro 2012 itself and the upcoming Champions League Final. Talks also focused on the possibility of further UEFA events in Kharkiv itself. Aleksander Ceferin won election as UEFA’s seventh president in 2016 and secured adoption of his good governance reforms program in 2017. Theodore Theodoridis was officially approved UEFA general secretary in 2016 after his predecessor Gianni Infantino took on the leadership of world football’s governing body FIFA. Martin Kallen is currently involved in preparations for the Champions League Final in Kyiv on 26 May – an event that promises to bring over 100,000 fans and dignitaries to the Ukrainian capital. 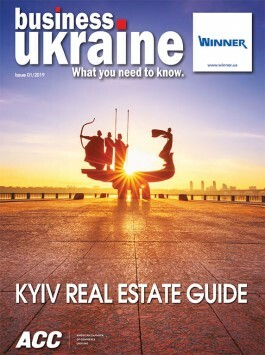 Oleksandr Yaroslavsky invested approximately USD 300 million to prepare Kharkiv for Euro 2012, with key investments including the city’s Metalist Stadium, Kharkiv International Airport, a state of the art training camp, and Kharkiv’s first five-star hotel. During his reign as president of Metalist Kharkiv, Yaroslavsky steered the club to six third-place finishes in the Ukrainian Premier League and one runner-up position, while also establishing Metalist as regular competitors in the latter stages of UEFA club competitions.